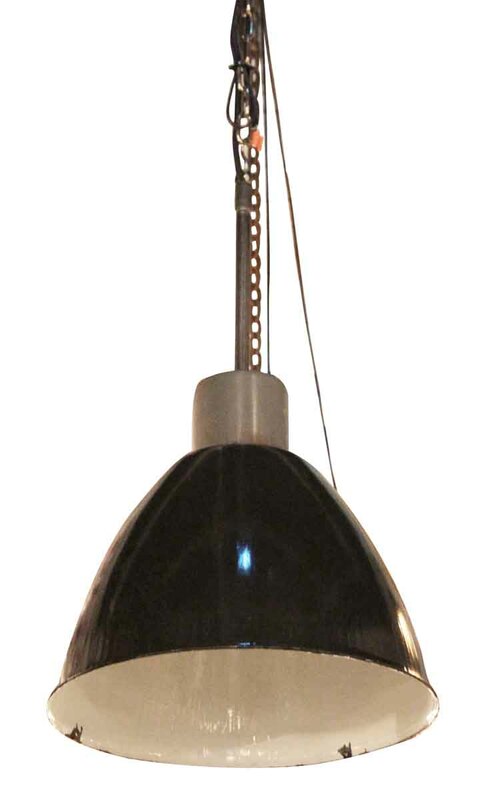 These are great oversized enamel industrial lights from Germany. The exterior is a slightly speckled black enamel with a clean white enamel interior. 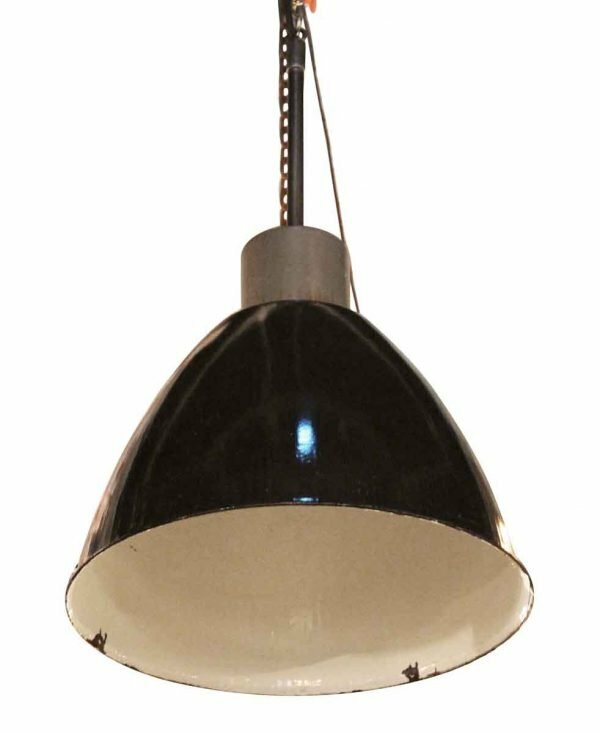 The simple gray top makes these lights easy to retrofit for hanging with a chain or post mount. Two styles of mounting available. Two colors – black and dark green. Please inquire. Priced each.